A capsule wardrobe is the collection of a few essential items of clothing that don’t really go out of style. Ideally, these items should all mix and match well. This allows me to get the most outfits with the least amount of items. I have been doing a capsule wardrobe for 12 seasons now. It has revolutionized the way I shop for things, and the way I view clothing. 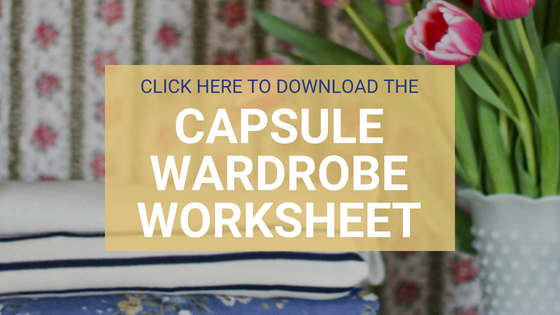 I am writing this as the second of a three-part series and a worksheet on capsule wardrobe planning. My goal is to give you what I have learned in four years of work, so you can get started right away with minimal effort. Is a Capsule Wardrobe too much work? I also find that I enjoy shopping so much more, because I know what I am looking for and never experience buyers remorse after making purchases. I can go right to my favorite stores, and choose clothes that fit me well and make me happy. Using a capsule hasn’t always been my thing. Four years ago I had an assortment of random, cheap shirts crammed onto countless wire hangers. There were piles of clothes in my dresser and an under bed storage crammed full as well. Yet, somehow I looked into my closet and felt like I had nothing to wear. I spent a lot of time pawing through all the things I owned and often ended up accidentally running out the door in something that was in less than good condition. A lot of the things I kept were out of style and I wouldn’t ever put them on anyway. I often hear from people is how much work it must be to get started. They are right, there is a bit of startup to it, but most of the best things in life require a little work. The amount of time, money, and frustration you will save will pay you back in the future. Don’t let the effort a capsule wardrobe takes to get started keep you from owning your best life! 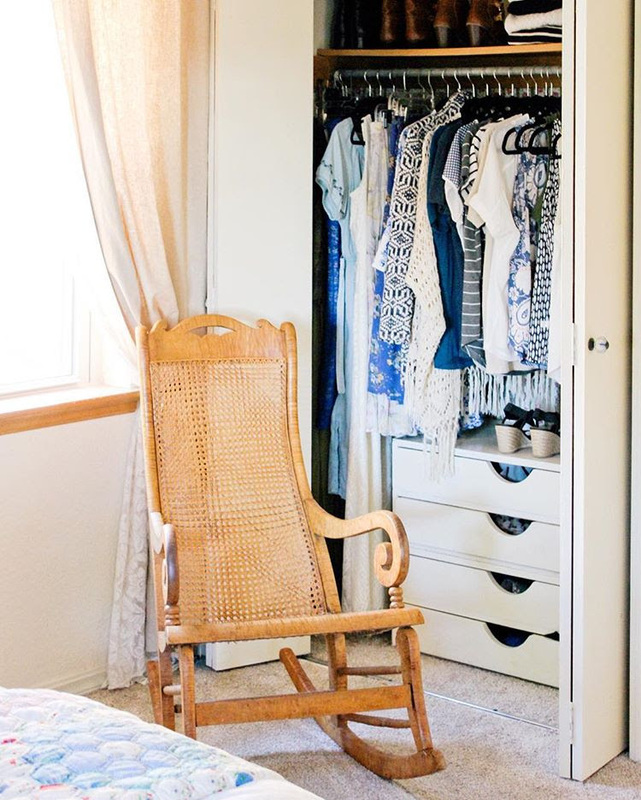 Are you ready to take charge of your closet, and simplify your life? 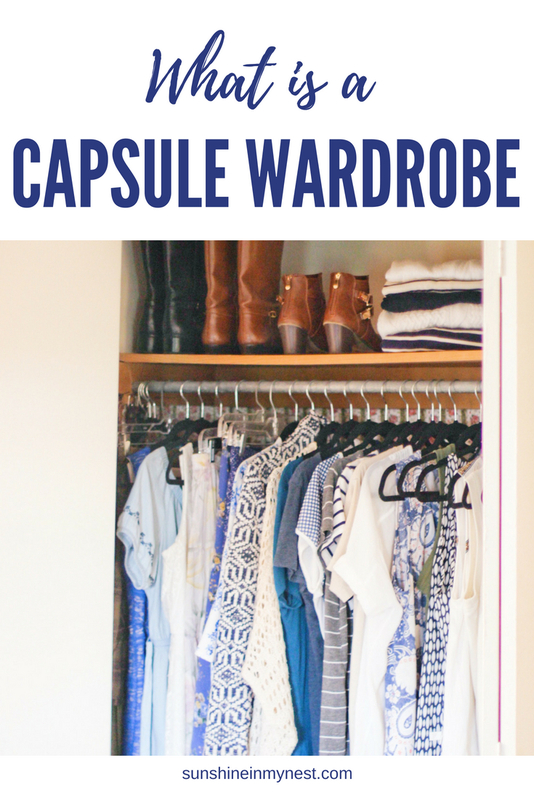 Do you currently use a Capsule Wardrobe? If so, did I miss anything important? If not, have you heard of a Capsule Wardrobe before this? What obstacles keep you from starting one? Previous Post Why is Sunshine in my Nest about Gratefulness? Next Post How I Capsule Wardrobe?